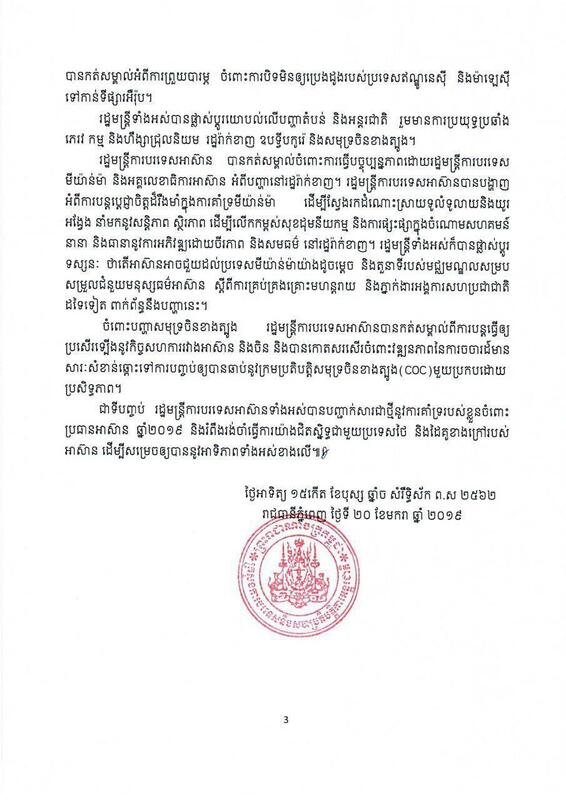 Phnom Penh (FN), Jan. 22 – Cambodian Minister of Foreign Affairs Prak Sokhonn expressed his regret over recent European Commission’s decision to impose safeguard measures on rice from Cambodia and Myanmar on 16 January 2019. 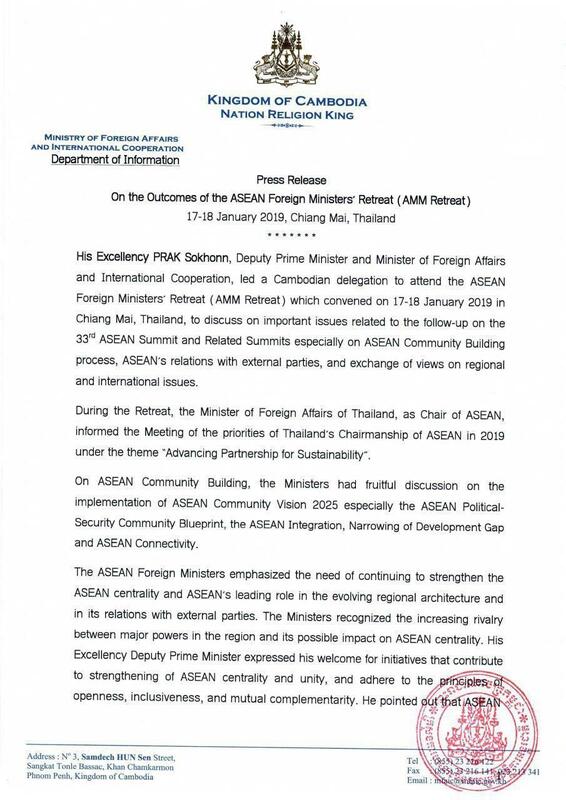 The statement was made at the ASEAN Foreign Ministers’ Retreat (AMM Retreat) which convened on 17-18 January 2019 in Chiang Mai, Thailand, according to the ministry’s press release dated Sunday. 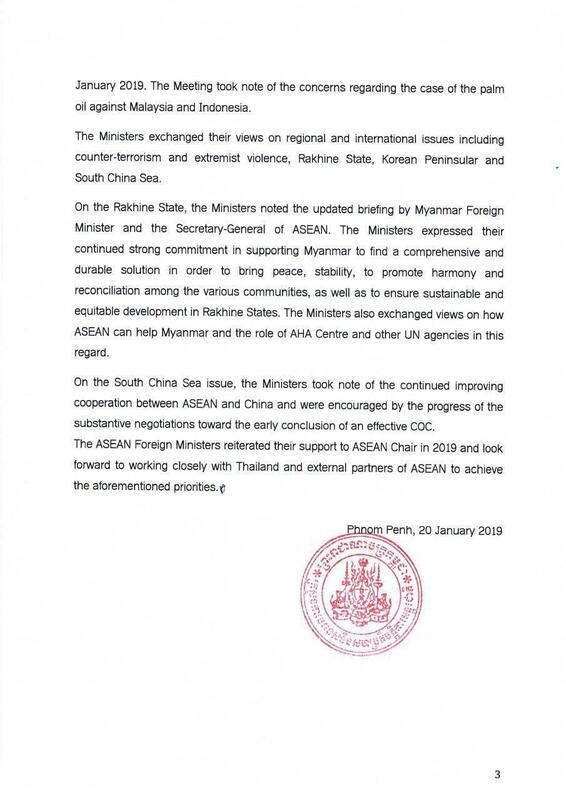 The Minister also expressed concerns on the use of double standard approach to pick and choose only areas that suit and benefit stronger countries. 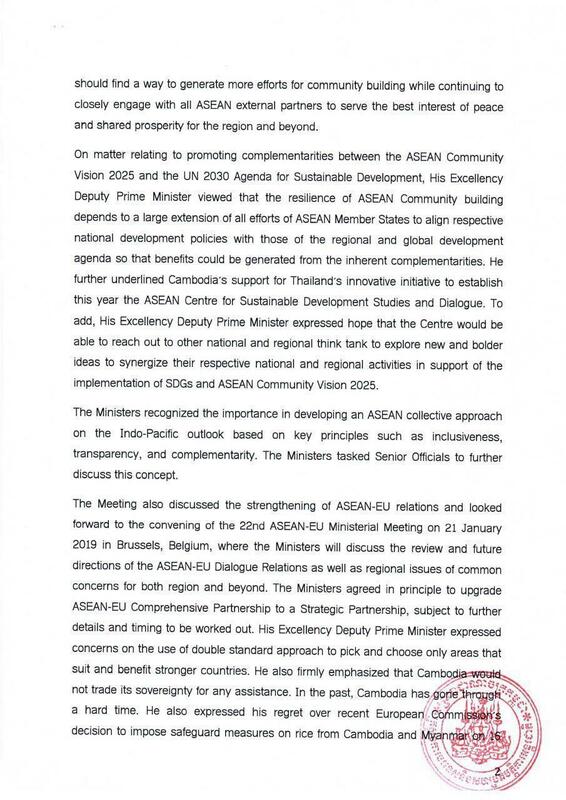 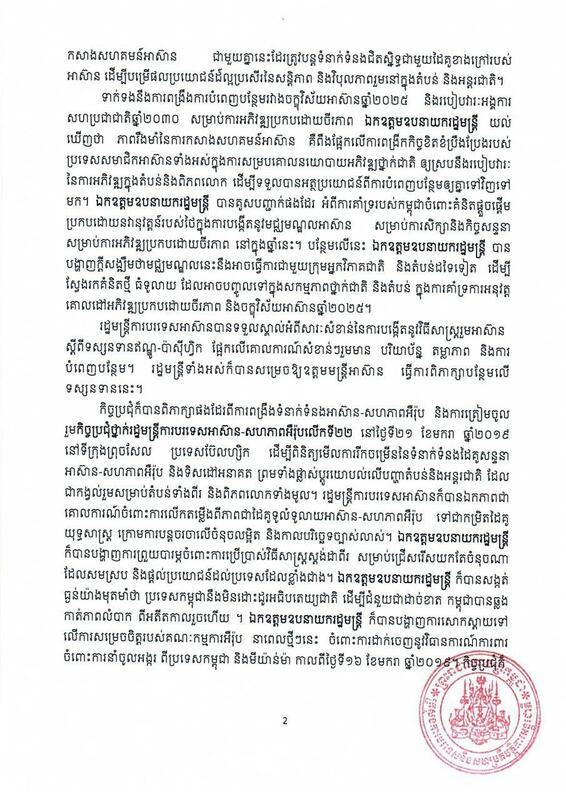 He also firmly emphasized that Cambodia would not trade its sovereignty for any assistance, the ministry added. 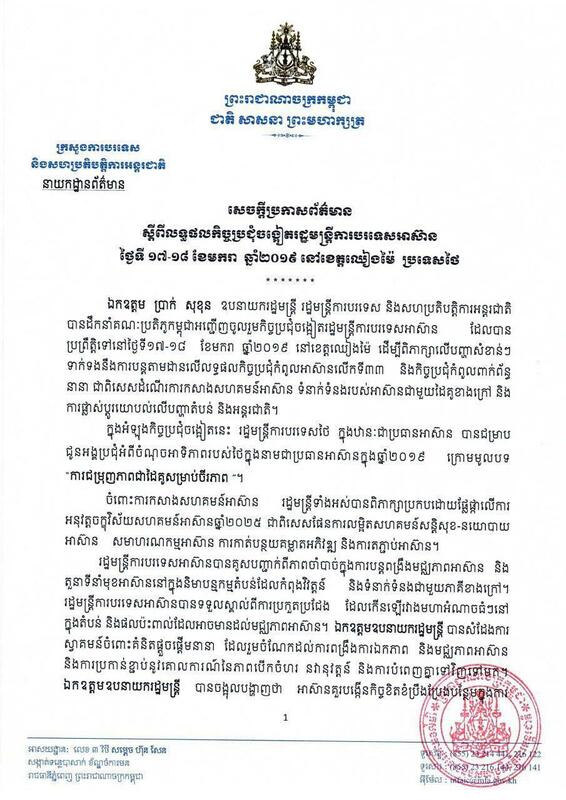 Cambodia’s Ministry of Commerce said late Friday that the EU's decision on 17 January 2019 did not fully reflect international trade rules, technical standards, truth, and good relations and cooperation between Cambodia and EU.